Does your home or commercial space suffer from poor indoor air quality? Is it stuffy inside? Does stale air waft throughout your home? 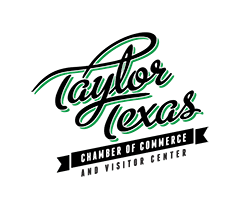 As a leading HVAC service provider in the greater Austin, TX area, we offer a number of different indoor air quality products and services to our customers, including air purifiers, humidifiers, dehumidifiers, UV air purifiers, air duct cleaning, duct sealing, duct repair, energy recovery ventilators, heat recovery ventilators, and insulation. We want to make sure that your home is both comfortable and convenient at all times. We have been in business since 1979, and we continue to offer exceptional customer service at great value. Contact Roznovak's Services today. Roznovak's Services provides indoor air quality products and services in Austin, TX and the surrounding areas. The modern home is constructed with energy efficiency in mind. Windows, doors, insulation, flooring, roofing—all of the materials that comprise your house are intended to perform some kind of role in the high–efficiency game in addition to holding the structure together. But that efficiency can often come at a price. You may find that your home is not properly ventilated or that airborne contaminants circulate throughout your space. We can provide a solution. It’s important that your indoor air quality products and services be completed by a professional. The EPA–certified and state–certified technicians on our team can handle just about anything. If your home suffers from noxious particles, then let us help you find an air purifier or UV air purifier to remove such substances from circulation. If humidity is an issue, then let us find a humidifier or dehumidifier that will integrate directly into your heating and air conditining system. Portable air purifiers certainly have their place, but they cannot compete with the coverage and efficiency of a whole house air purifier. 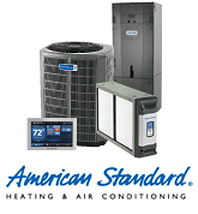 We install and service quality air purifiers that seamlessly fit into your heating and cooling system. Low humidity levels can lead to dry skin, nosebleeds, sore throats and even long–term damage to wood furnishings in the home. A whole house humidifier is your best option when it comes to optimizing humidity in the home. We install and service them. If humidity in your home becomes a problem, then dehumidification is necessary to avoid the buildup of condensation that can lead to long–term water damage, as well as the discomfort that arises from high moisture content in the air. We offer a number of different dehumidifiers for installation in Austin, TX. If biological contaminants such as mold, mildew, bacteria or viruses are causing trouble in your home, then a UV air purifier may be necessary. We offer comprehensive UV air purifier services throughout the Austin, TX area, from installation to maintenance. Over time, your ducts are subject to the same wear and tear as the rest of your HVAC system. In order to keep them clean and in good working condition, air duct cleaning may be necessary. Our HVAC technicians can handle your ducts carefully during our duct cleaning service. There may come a time when your air ducts begin to leak air into unoccupied spaces. Whether they have been torn, or loosened apart, we can make sure that they are fixed. Our duct sealing service is comprehensive and we use only the latest techniques and methods. Ducts undergo a significant amount of use and abuse over time, and making certain that they are kept in good working order should be a priority for your home. Our duct repair service is excellent. We can fix just about anything or replace when necessary. Although you may be tempted to open the window during the summer, this will undoubtedly let all of your cooled air outside, thus increasing the load on your air conditioner and raising your energy bills. We offer energy recovery ventilators that can make certain that your indoor air is ventilated efficiently. Heat recovery ventilators work much like energy recovery ventilators in that they use the outgoing air to precondition the incoming fresh air, but these devices are designed to work during the winter months. We install and service quality heat recovery ventilators in Austin, TX. Insulation truly is the key to energy efficiency in the home. If you find that your home does not keep cool or warm year–round, then you may want to address the problem with our insulation services. We not only install insulation (including blown–in), but we also replace it when necessary. Call Roznovak's Services today for quality indoor air quality products and services throughout the Austin, TX area.